Warriors at Ease is a leader in a growing movement as seen in these recent publications. 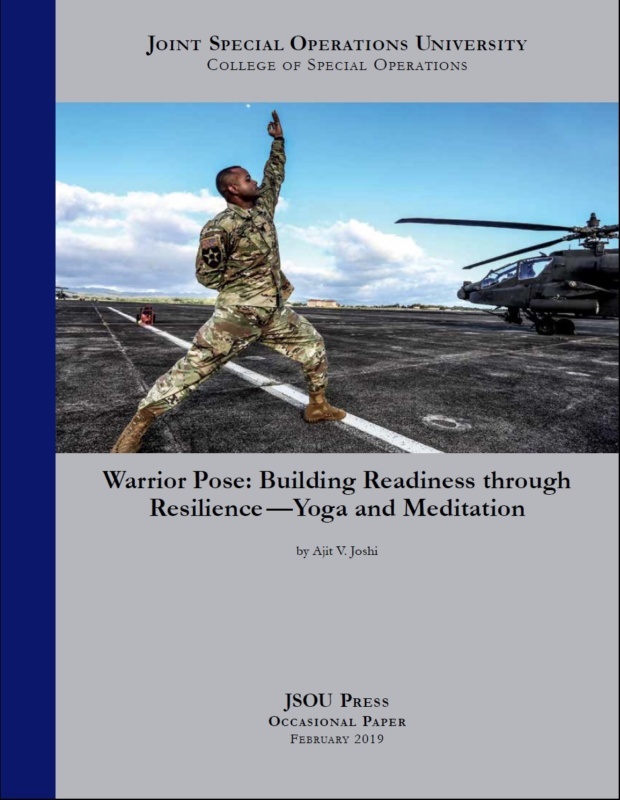 Read award-winning research published by Joint Special Operations University asserting that the foundation for military readiness is resilience, which aligns with the warrior ethos and is an enduring quality of good leaders. 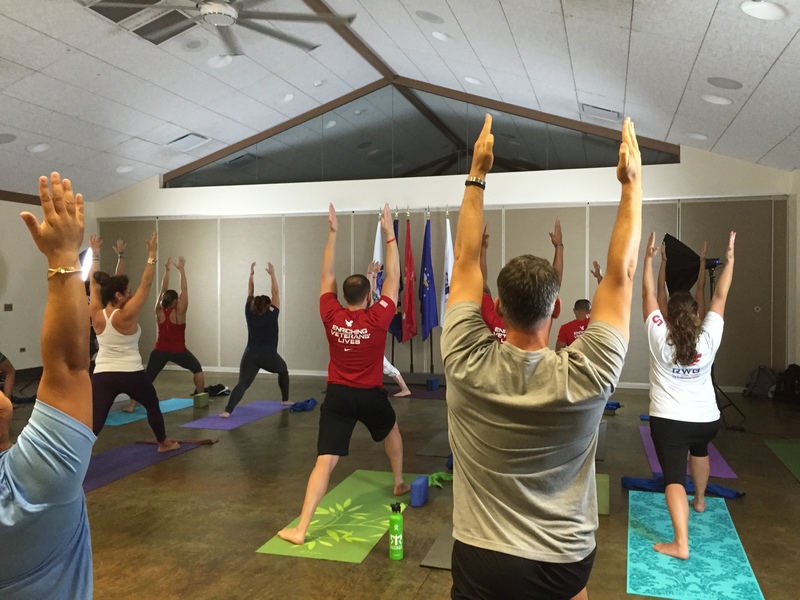 A variety of techniques and practices including trauma sensitive yoga, breathing (pranayama), meditation and iRest® Yoga Nidra are evidenced based tools with proven efficacy for improving the health and resilience of military service members and their families. 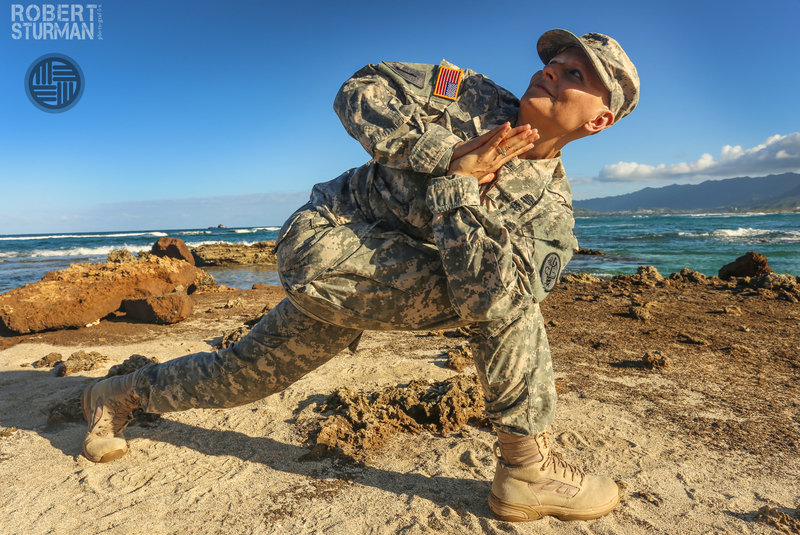 The paper include contributions and testimonials from Warriors at Ease faculty, teachers, students and various experts on yoga in the military. 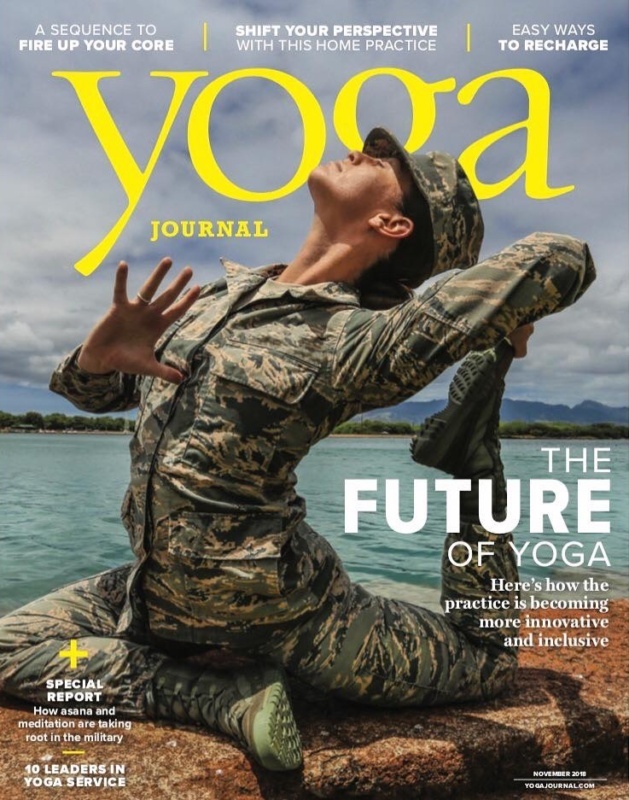 The cover of the November issue of Yoga Journal features one of our Warriors at Ease teachers! Learn more about Staff Sergeant Kristen Schoeffel here. 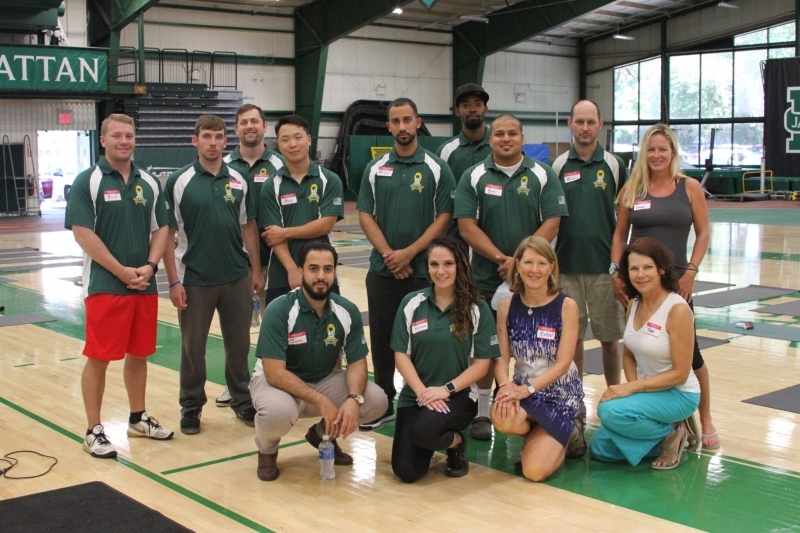 See how in this video featuring, U.S. Army veteran Jeffrey Sargent, who is one of our Warriors at Ease Teachers and also Robin Carnes, one of our co-founders and lead faculty. Visit our blog for more testimonials! Our NEW Level 1 online teacher training is now available! 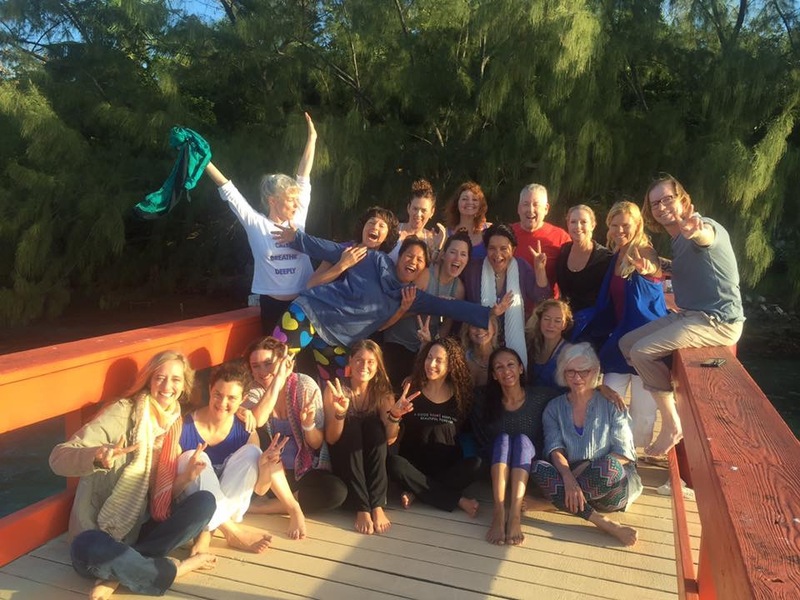 Created for yoga & meditation teachers, but anyone can take this NEW course! Have you taken our training before? 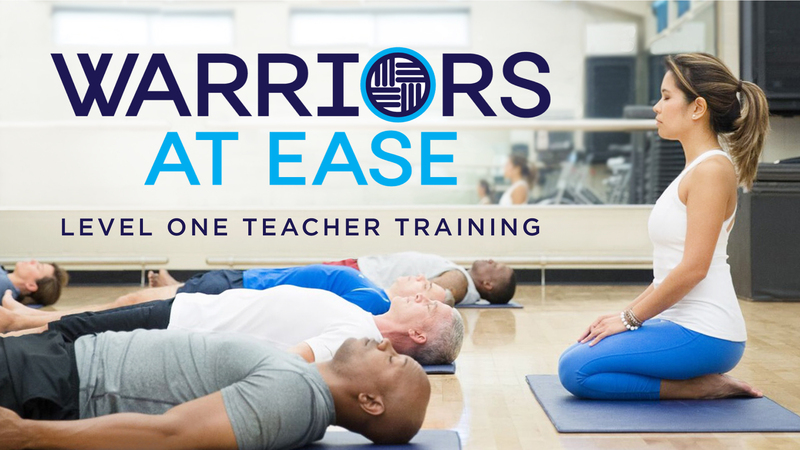 We are offering our current Warriors at Ease teachers BIG discounts on this NEW course! 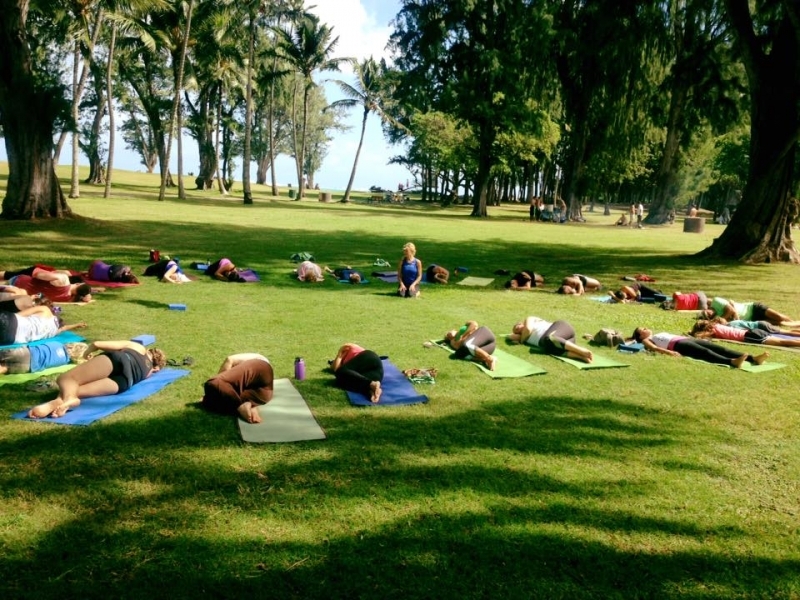 Get the latest on training, events, news & more! Buy a Warriors at Ease t-shirt! 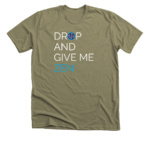 A portion of all sales goes towards helping us bring more FREE yoga classes to service members, veterans and their families. 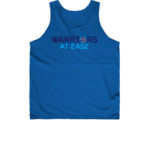 These and lots of other colors and styles to choose from…. 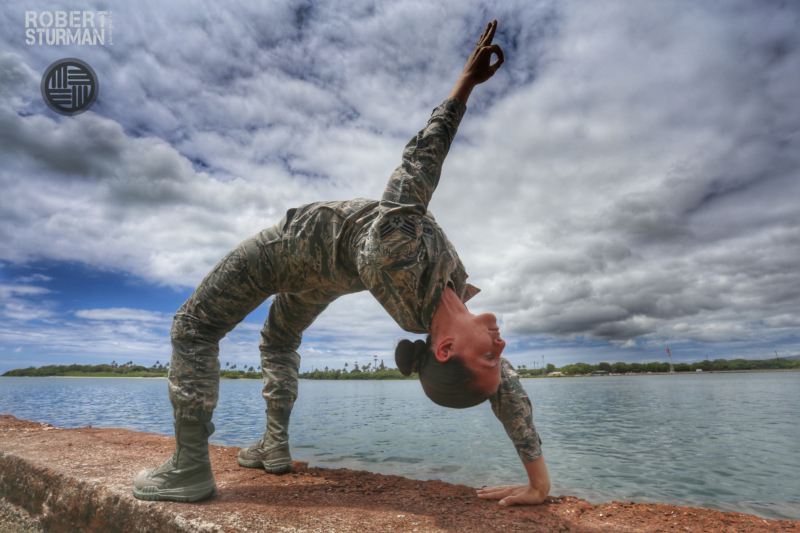 Yoga and meditation are mind-body practices that promote health and well-being. 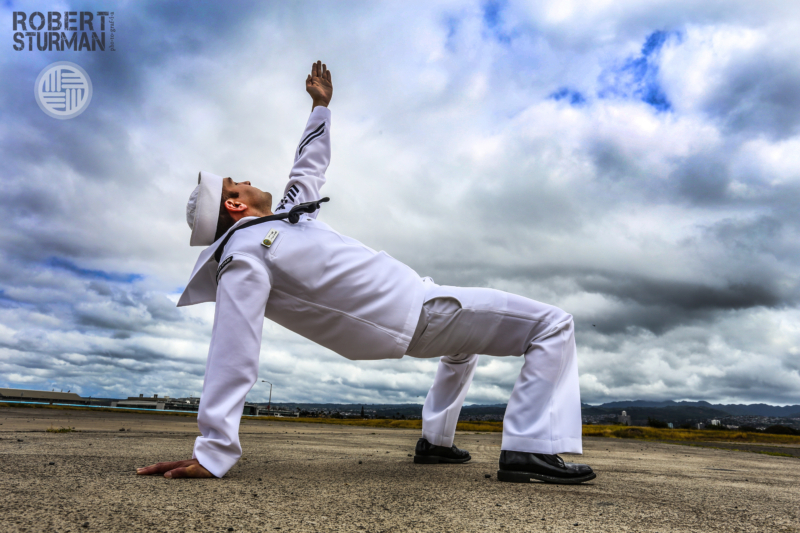 What is different about Warriors at Ease? I hadn’t slept more than two hours in a row since Vietnam. That’s a lot of years with no sleep! With the use of these techniques, I now sleep through the entire night. I feel like an different person. My blood pressure also went down from 180 over 110 to 120 over 90. I’m telling every guy I know about meditation. I used to feel like I didn’t trust other people. 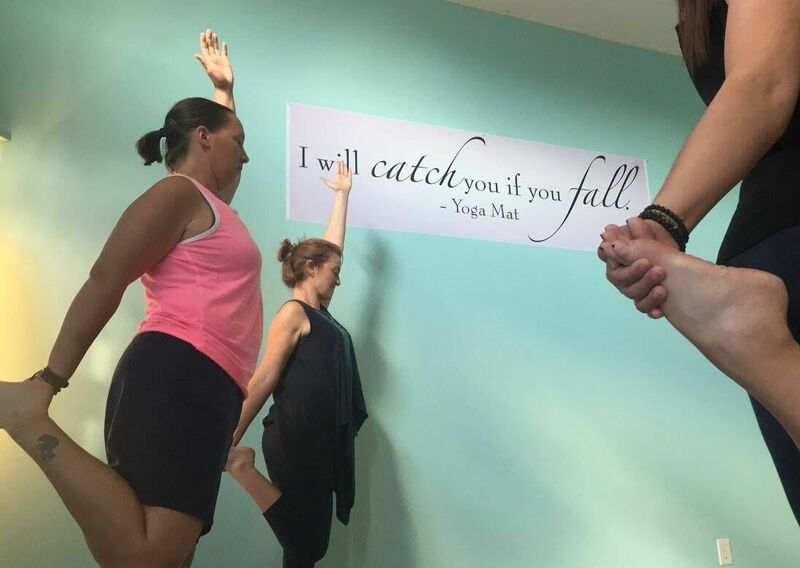 In meditation, I realized that I didn’t trust myself. It is helping me feel more calm. The more calm I feel, the more I see that people are trying their best. 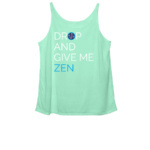 I thought that yoga was against my religious beliefs. Now I see it is as something that deepens my understanding of my faith. This is the piece that was missing from our PTSD program. 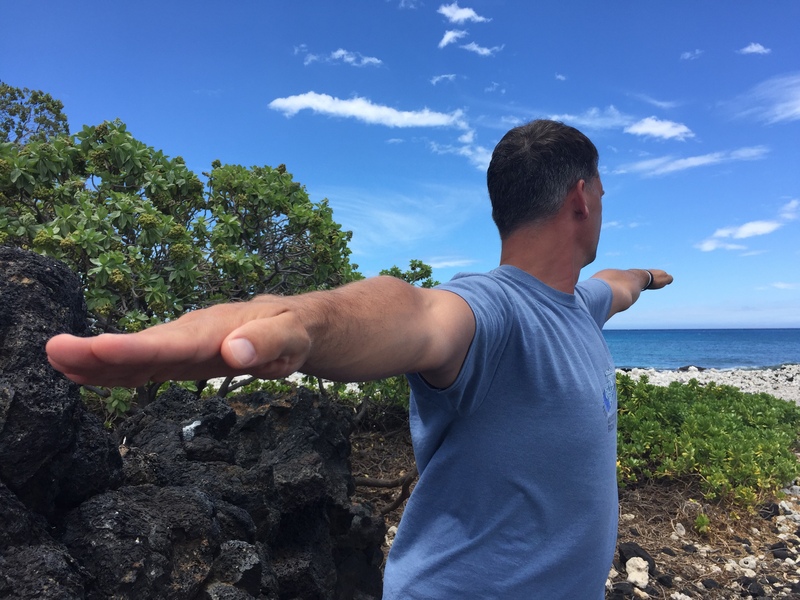 It fits with everything else they teach us, but it also teaches us a way to find our own peace without drugs or counseling that we can use once we get out of the program. This is the only hour of the week where I want to be inside my own body and mind. Meditation makes me feel light again. 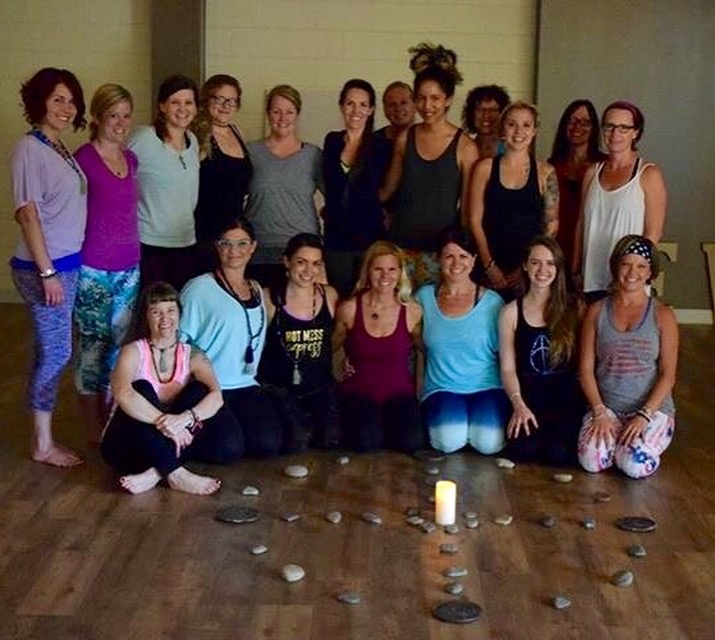 When the flashbacks would come, I silenced them with drugs and alcohol and darkness consumed my whole life… In class a few weeks ago, I realized that choosing darkness was my choice. Now I can choose differently because I feel change is in my hands. I have a tool of my own to deal with the flashbacks. 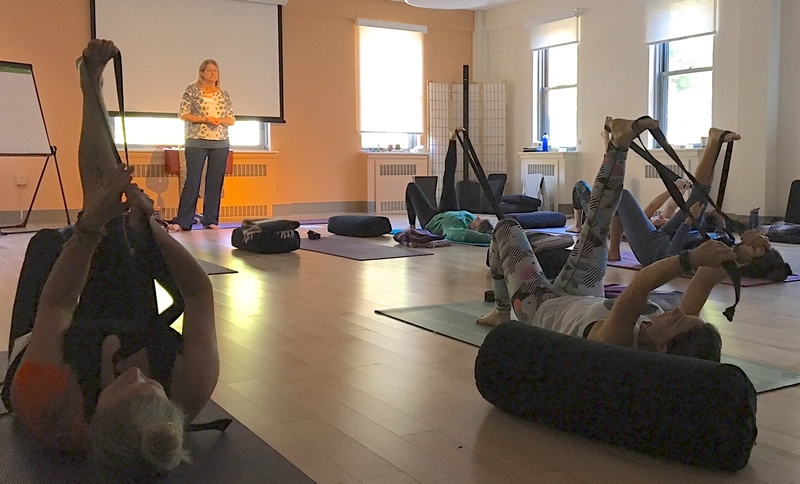 Yoga and meditation alongside trauma-focused psychotherapy have yielded powerful clinical results. 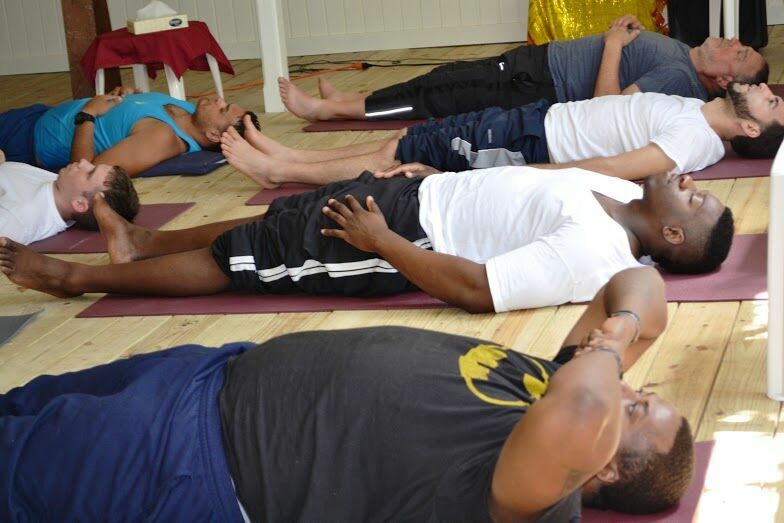 With the help of these practices, warriors are able to regain their grounding and move toward recovery and integration. 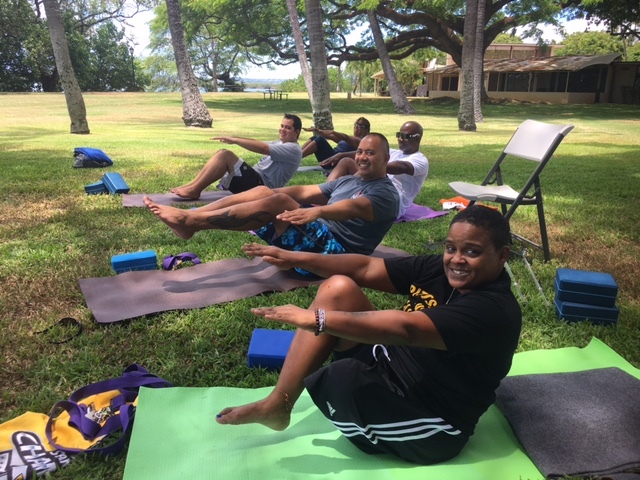 I LOVE Warriors at Ease teacher training, because you've showed me how I can adapt my classes to support my veteran students more effectively. 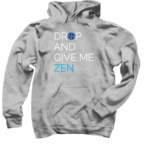 No one expects you to give up your style or the yoga lineage in which you've previously trained. 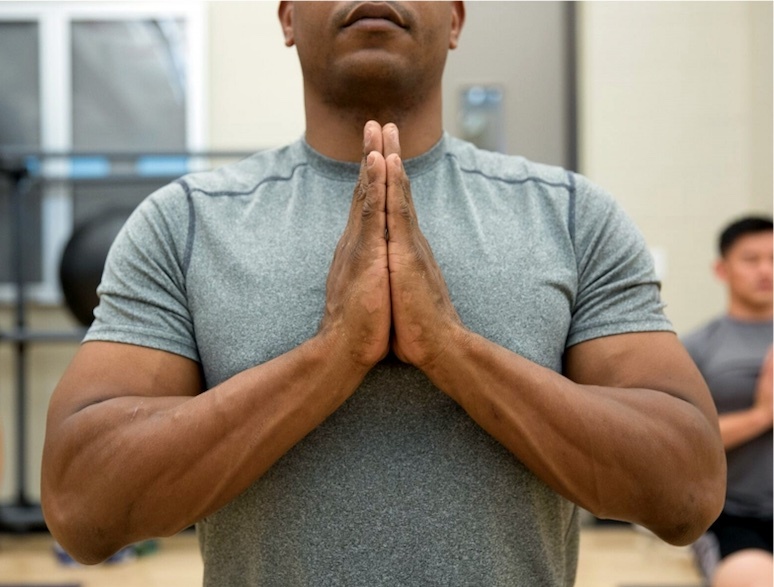 Yoga has given me the tools to deal with stressful situations as they arise, have more restful sleep, and feel an overall strength in mind and body. 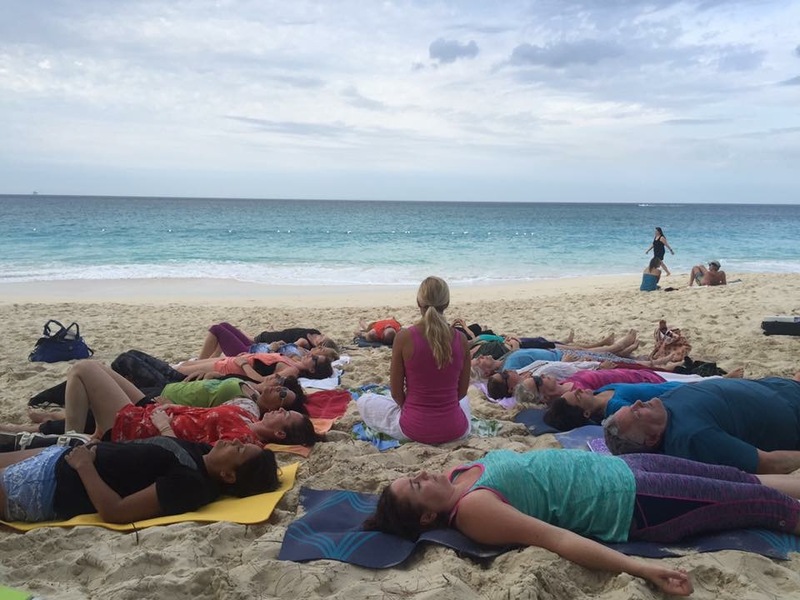 My spouse and I had never tried yoga before and never considered it as something that could bring peace and positivity to our daily lives. 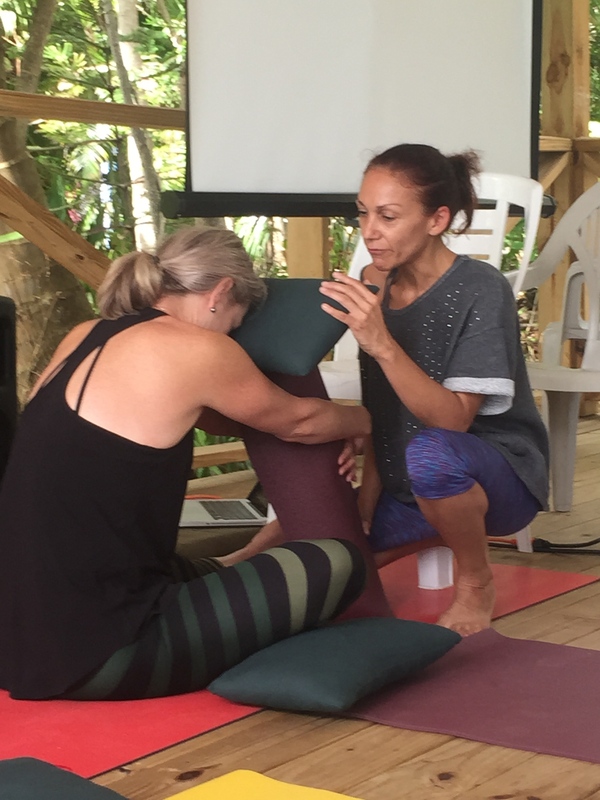 After a single class, we were shocked by the healing powers that this practice bestows. 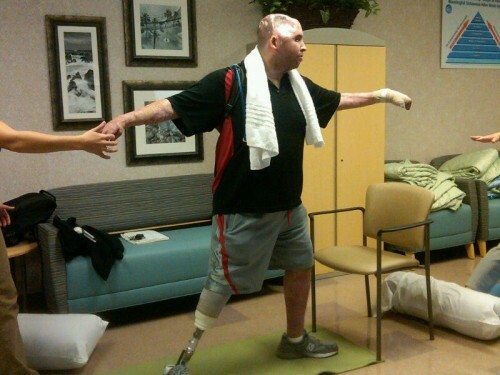 I am an active duty Marine and a yoga teacher. 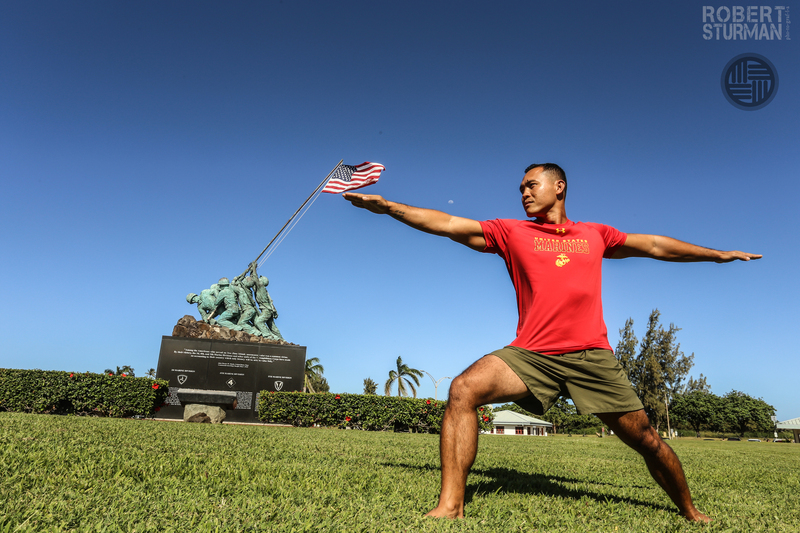 I love teaching to fellow Marines in my unit and seeing others' lives transformed by yoga. 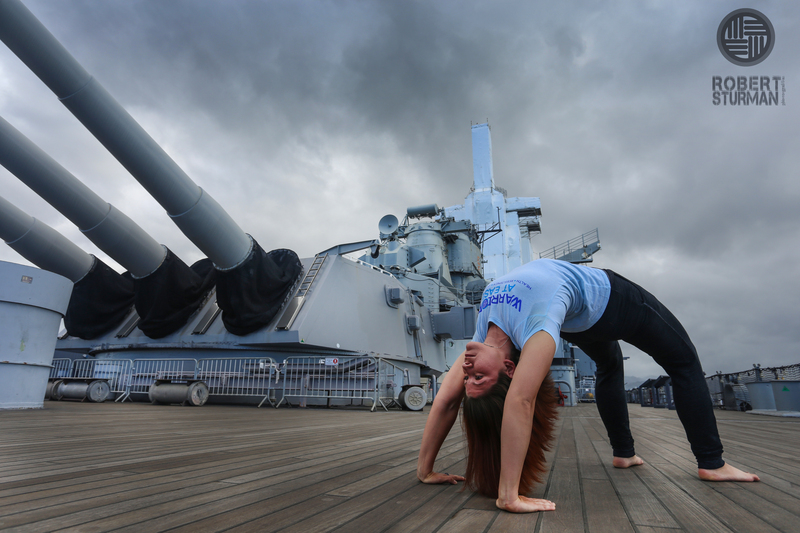 I recently had a WWII vet in my yoga class, and he told me it was the first time he's really felt "at ease" in decades! 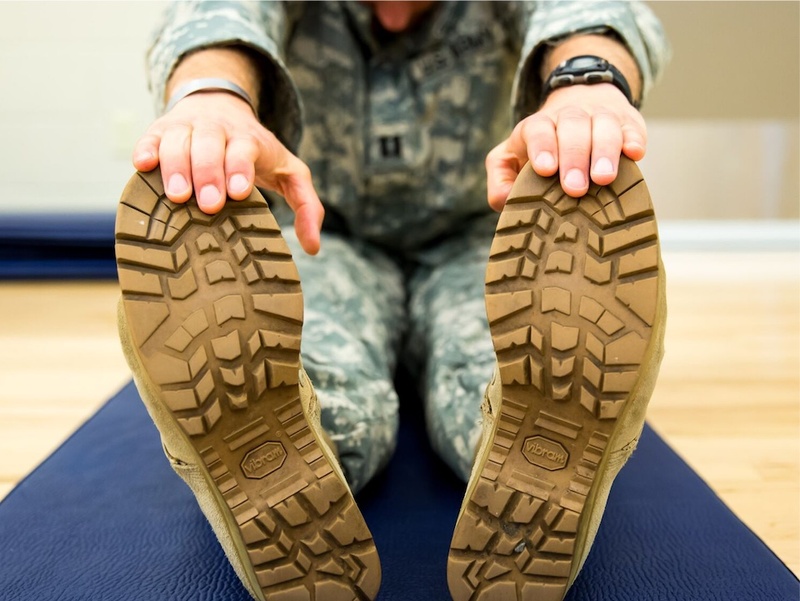 This training made me think about the differences in the military and yoga cultures, which is something I had not thought about before. Learning about these differences was interesting to me, and I see how this understanding is essential to establishing relationship and credibility with military personnel. I feel better prepared in every way, not only in working with the military but also working with the homeless, bereavement groups, and substance abuse groups. 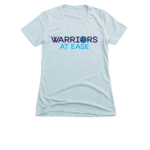 Warriors at Ease has established an inspiring model of collaboration, generosity, and excellence. This course was GREAT, GREAT, GREAT! Thank you for the untold hours of love and devotion that have gone into developing your work and this class. It was impeccably organized and packed with useful information. It was a joy to sense how lovingly your team works together. This course was very organized, provided excellent materials, was on-time, and gave me invaluable information about working with the military. I am so glad I chose to take the course. I would definitely recommend it to others!